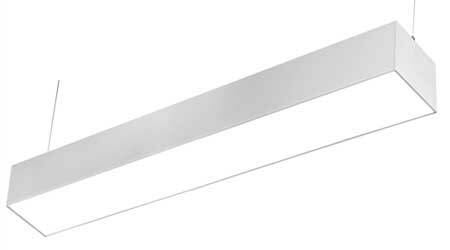 Finelite,Inc., a leading manufacturer of high performance lighting systems for offices, education and healthcare facilities, has released a suite of 6-inch aperture, specification-grade, LED luminaires — the HP-6 LED Collection. This architectural collection, one more in the award-winning HP-X LED family, creates new lighting design options with 6-inch-wide lines of continuous, uniform illumination. The HP-6 Collection includes recessed, direct, surface mount, and air return models. The collection mounts On-Grid for fast, easy installation and the direct pendant has flexible mounting brackets to accommodate existing architecture. The extruded aluminum body is available, with shipping in 10 working days, in any length, minimum 2 feet and in increments down to 1/16th of an inch, standard. Configurations with 90-degree corners in a single plane are also available, are also available in 10 working days. Custom configurations with clean, mitered corners are available and give designers the freedom to create planar angles and transitions as defined by the architecture. ● The HP-6 LED collection complies with the Buy American Act of 2009.